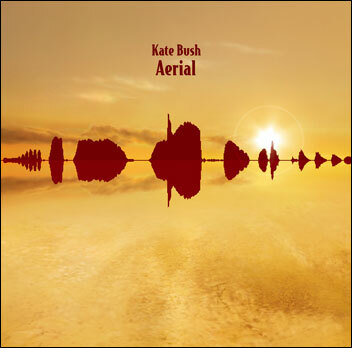 The Cardhouse robot recently pointed out this article, which discusses the cover art for Kate Bush’s forthcoming album “Aerial,” correctly asserting that it is “right up my alley.” The central image of rocks reflected in water is also clearly representative of an audio waveform. While this has been mentioned on Kate Bush message boards, I wasn’t able to find any investigation into what exactly the content being represented was, so I decided to poke around a little bit. I found a relatively high resolution version of the cover online (click the image above to download), then used Photoshop to adjust the contrast until I had a relatively distinct image of the waveform. Obviously, this isn’t the best method to use if you’re attempting to preserve the integrity of the waveform, so I definitely lost some resolution by doing it this way. At any rate, I ended up with the image you see below. Click the image to obtain a higher resolution version for your own experimentation. The next step was to turn the finished image into sound. To accomplish this, I used a windows program called Bitmaps & Waves. This required that I cut the image of the waveform in half – which produced the image below. Same ‘click for higher-res’ standard applies for the whole of this article. Feeding the image of the half-waveform into Bitmaps & Waves resulted in a full audio file, as seen below. Here’s an image of the finished audio file. Close enough, right? So what’s it sound like? Download it here, or click on the player below. So why does it sound like that? I should first preface this with the fact that I didn’t retain very much of the soundwave stuff I learned in various physics classes, and everything I say from here on in is based on stuff I’ve picked up while using audio editing software. In short: take everything with a grain of salt. My understanding is that the file I produced emulates only the volume envelope (variation in level), and position with respect to time (rhythm) of the recording, and not the actual sound waves (oscillations) being produced. Bitmaps & Waves appears to use a simple Sine oscillator to generate the soundfile based on the image you provide. Based on this, I don’t think it’s possible to retrieve the actual audio content being displayed on this cover, so rather than stay up any later thinking about this, I’m handing off my work as it stands to the internet at large. Maybe someone with more insight will devise a way to figure out what the damn sound is. 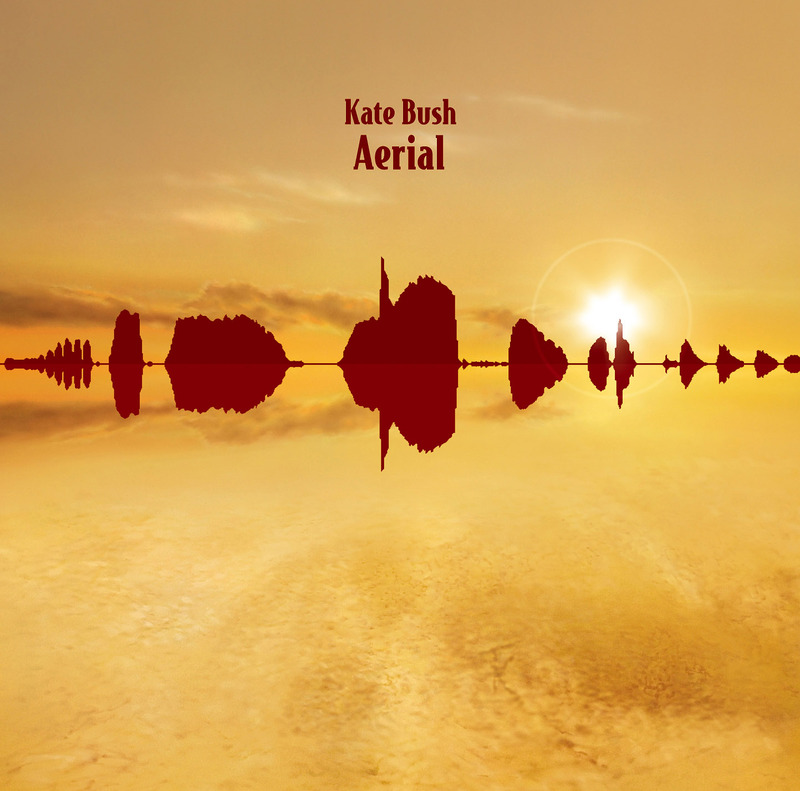 My current theory is that it’s a clip of the lyrics from the album, and that some obsessive Kate Bush fan would be able to determine which bit of the album is represented by comparing the Waveforms of the album audio with the image on the cover. Believe it or not, even I’m not that obsessive. No, really. Well, if you read far enough down into the comments on this post, you’ll see that someone has, in fact, located the bit from the album that appears on the front cover. Turns out it’s a bird call, which is available as an MP3, here. As many suggested in the comments, speeding up the MP3 I originally produced several hundred percent was indeed the way to go — doing so actually produces a pretty convincing match to the rhythm of the source audio. Here’s an MP3 consisting of both the source ‘bird call,’ and my original recovery effort played together, for the extra inquisitive among you.